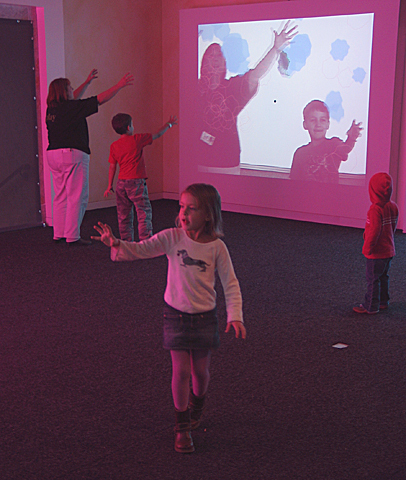 Gathering, is a networked interactive video installation commissioned by and permanently installed in the Pittsburgh Childrens' Museum. 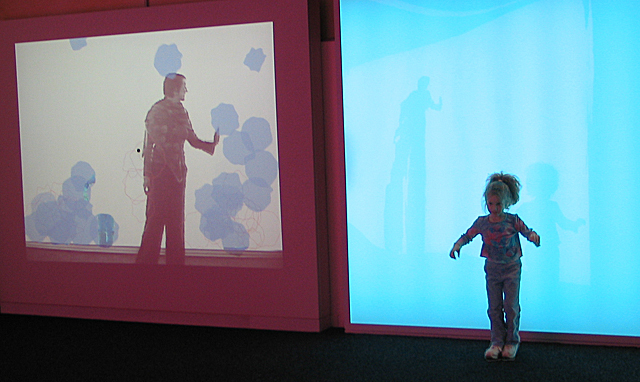 For every 1 child at a children's museum, there are 3 adults. And anything you build has to be industrial strength (children can be rough) and be able to be cleaned with bleach. 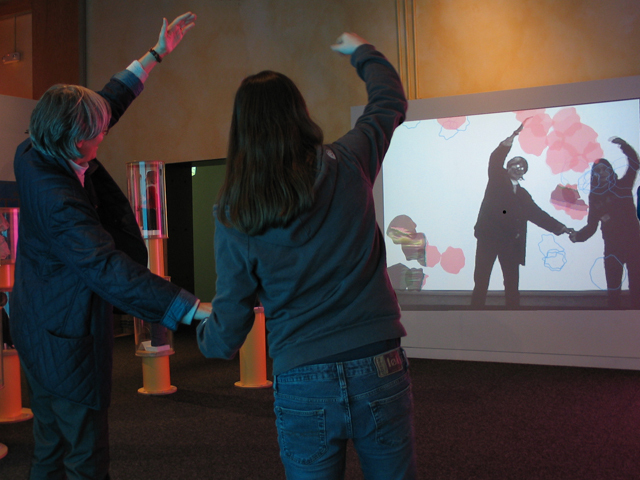 So how do you build an indestructible exhibit that keeps the whole family entertained? 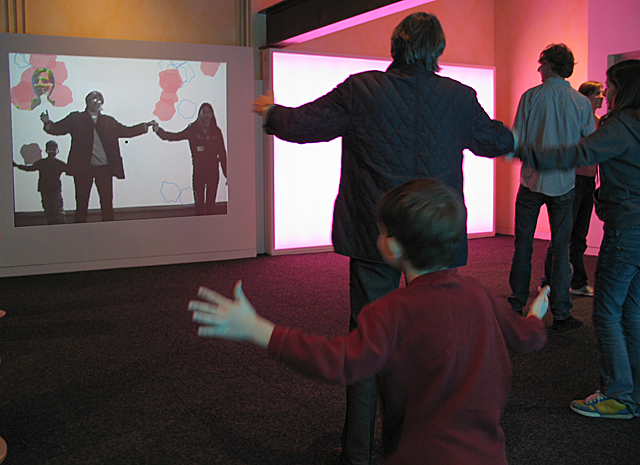 Inspired by Buggs Bunny's ability to grab a "hole" and place it anywhere, we designed and built a networked interactive exhibition that lets users grab, throw, bounce video from the adjacent space, allowing them to play with their friends and families in a real and virtual environment. 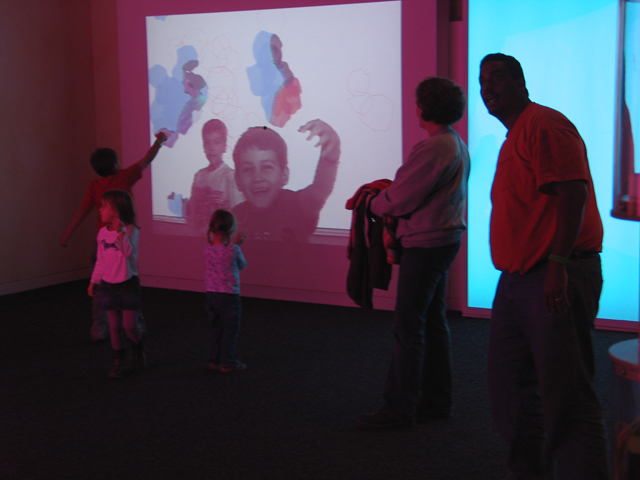 Visitors see themselves reflected in a video projection in front of them. They can move, kick, group, and bounce forms falling from the top of the projection. 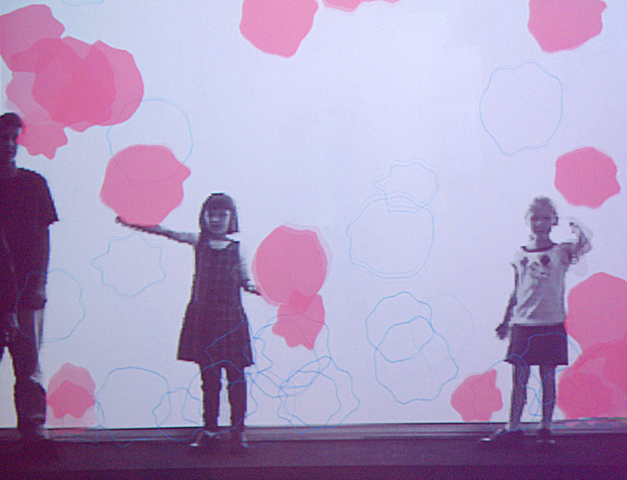 These shapes contain a live video feed from the adjacent projection space. Thus, the visitors in the pink space can manipulate the blob-windows which look out onto the blue space. Likewise, users in the blue space can manipulate their windowed views of the pink space. Participants use their entire bodies to engage in a mediated communication between different spaces exploring new types of visual and physical communication. Gathering was made in collaboration with MacArthur Award winner, Camille Utterback.